Rounds 2&3 of the Quebec cup were held last weekend (June 8th-10th) at Camp Fortune in Old Chelsea just outside of Ottawa/Gatineau. We were blessed with sunshine and clear skies for most of the weekend making it very enjoyable. 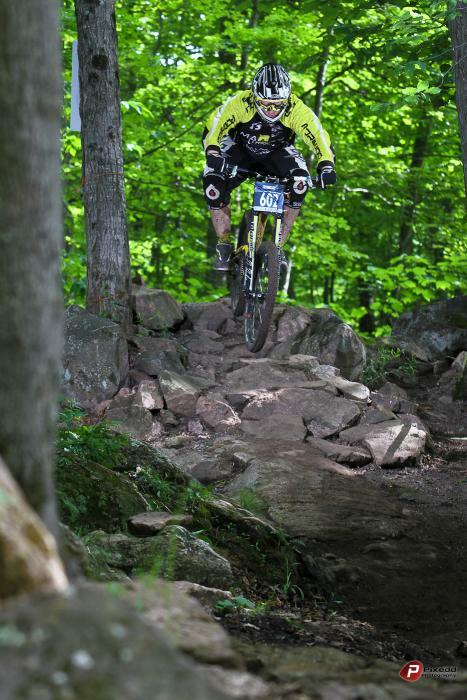 The race track in camp fortune is a well-liked track with high speed “tight” wood sections as well as the infamous “dump” that claims many riders on their way down to the finish line. 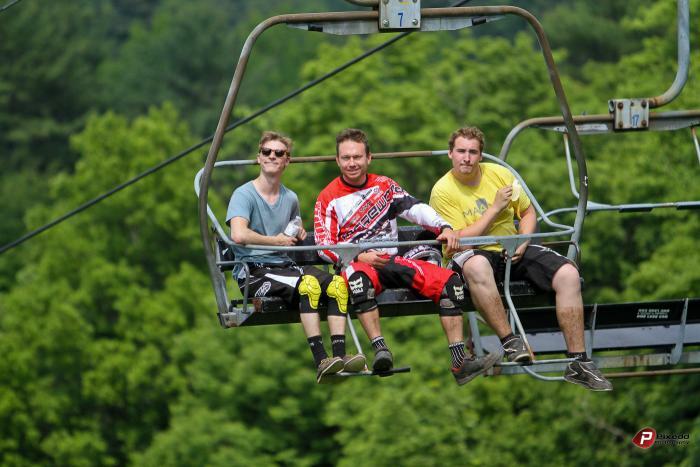 The mix of Quebec riders and Ontario riders is a lot of fun: new faces, new stories and different teams to mingle with. Both races were exciting and full of surprises, suspense and great track times. 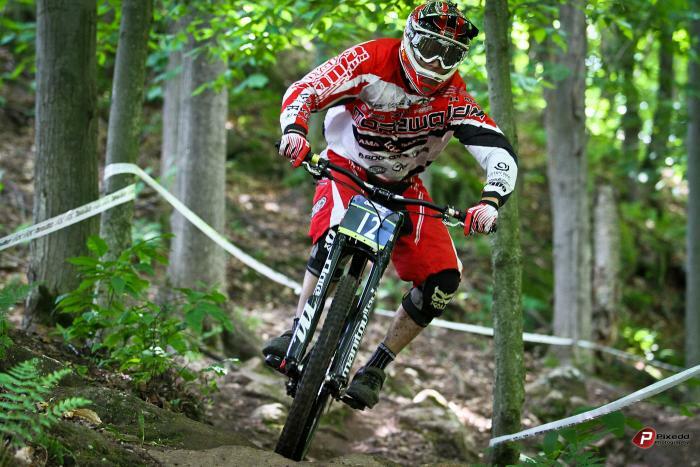 Laurent St-Cyr took the win during the first race, finishing on the first step of the Senior expert podium. At the second race he took second place with an even better time than his first race. 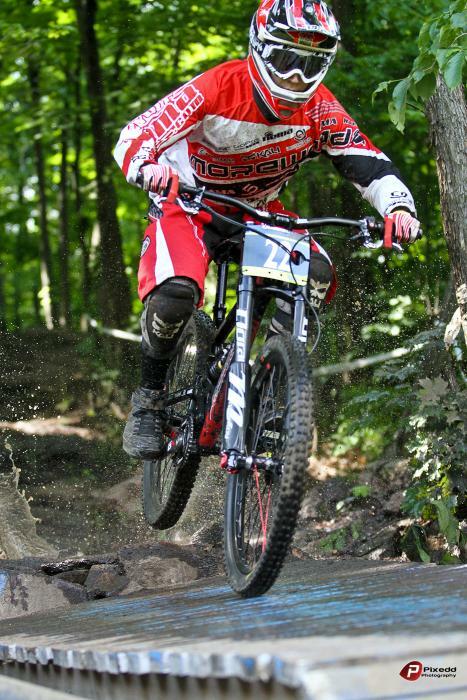 Our Elite racer Nicholas Konow got a good race run in and placed 9th at the first race but, unfortunately, crashed in the second. 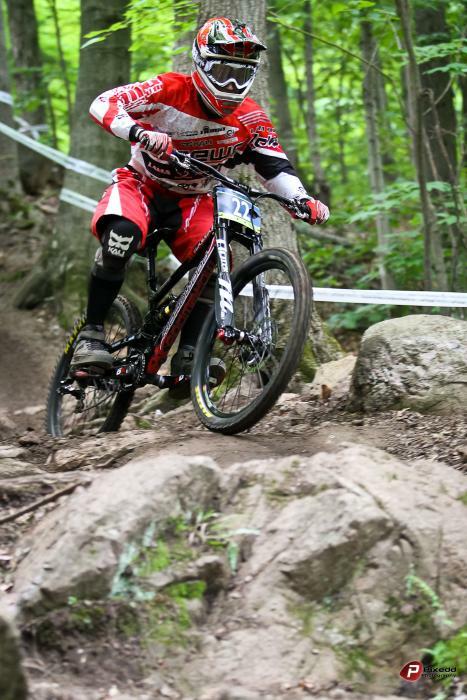 He was riding really well all weekend and we'll be seeing more of his smooth skills in MSA for the Canadian champs on July 5th-8th. This success is only possible with the best products, riders and support out there. 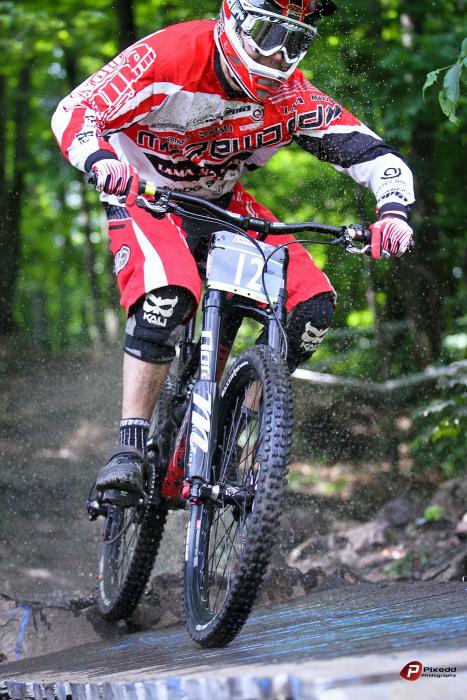 We would like to thank the 2012 Lama Cycles sponsors for their commitment to the program. 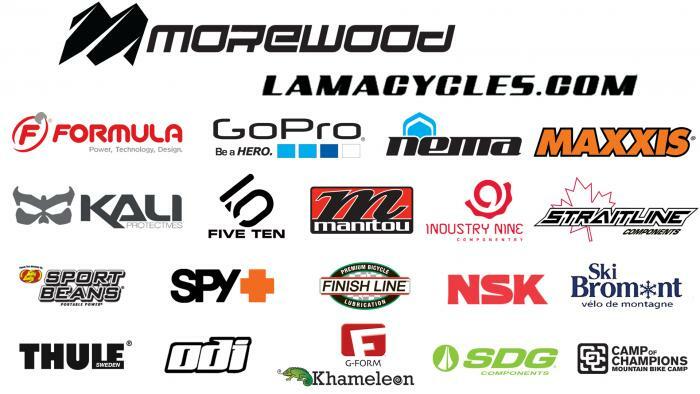 In addition to Lama Cycles distribution co. and Morewood Bikes, the Lama Cycles team is sponsored by Industry Nine, Formula Brakes, Nema International, Straitline Components, Kali Protectives, Manitou, Maxxis Tires, GOPRO, Five Ten, Spy Optic, ODI, SDG, SkiBromont.com, Finish Line, Sport Beans, OGIO, THULE, Camp of Champion, G-Form and NSK.